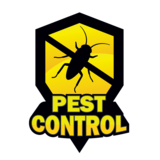 Pest Control Athens | Exterminators Athens - Pest Control You Can Trust! Our Pest Control specialists will remove Ants, Bed Bugs, Spiders, Roaches, Crickets, and other common pests out of your home. Put an end to termites and their entire colonies in your home with our professional termite treatment. Have critters in your home that shouldn't be there? Andrews' wildlife specialists will come take care of the problem. People say that if you live in Georgia, bugs are just part of life, but the pest control experts at Andrews Termite & Pest Control, Inc. will show you that it doesn’t have to be that way. Our job is simple- we want to give you that fresh feeling of living in a pest-free home. After we treat your home, feel free to hang out on the floor with your kids, or your dog, without fear of being attacked by any pests. We understand that there are many pests in Athens Georgia, but we’ll get you your home back again by using our safe pest control solutions. At Andrews, our pest control technicians practice Integrated Pest Management (IPM), an effective and environmentally sensitive approach to pest control. 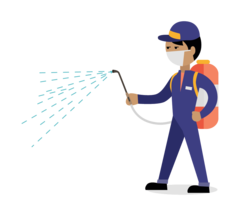 Technicians take common sense practices and combine them with current knowledge about pests and their life cycles to treat and prevent pest infestation. By using minimal products in the home and concentrating service to the outside, technicians minimize customers’ exposure to the products. Maintenance plans are offered on a monthly and quarterly basis. These plans cover protection against crawling insects: not including flying insects, wood destroying organisms, fleas, or bed bugs. Contact our office today for pricing. We proudly serve Loganville, Monroe, Athens, Watkinsville, Bogart, Winder, Bethlehem, Statham, and all East Metro Areas. Fleas are very common in Athens and surrounding areas. Whether you have indoor pets or not, you are at risk for a flea infestation. If you do have pets, be sure to treat them with a flea preventative. Should you see any signs or have any suspicions that you may have a flea infestation, contact our office immediately. Fleas multiply rapidly and need to be treated at the first signs of infestation. Subterranean Termites are found in every region of the United States as a natural aspect of the soil’s surface ecosystem. Termites feed off of any type of cellulose. It isn’t uncommon to find termites in firewood, books, cabinets, furniture, and sub-floors. Soft woods are easiest for termites to consume. Unfortunately for the consumer, soft woods are most commonly used in structural building products. Termites require a moist environment to remain hydrated. For this reason, they are often found in the soil or amongst cellulose material (such as wood piles) or near a water source (down spouts, leaky gutters, condensation). Anytime there is a swarm of termites, a homeowner needs to have the home inspected by a registered technician. Even a small amount of termite swarmers could be indicative of a larger termite colony near the structure, beneath or right near the structure. The best protection against a termite infestation is treatment by a licensed pest control company. There are several different treatment options available. One of our registered technicians can evaluate your home and help you determine the best treatment option for your structure, as well as determine any conditions that may make future infestation more likely. Contact us today to get your treatment plan underway, in Loganville, Monroe, Athens, Watkinsville, Winder, Bethlehem, and all East Metro Areas. At Andrews Termite & Pest Control, Inc., we offer same-day inspections. We tailor our pest control solutions for your individual need. We want what's best to protect your home. Our technicians go through some of the best training in the industry, so when we come to your home, we can advise you about what kind of pests you’re dealing with and what we’ll do to keep your home pest free. We’ll tell you all you want to know, but for the most part, we’ll get down to the business of getting rid of the annoying pests. We’ll give you the pest control you want when you need it. We offer a variety of preventive service plans that fit your unique situation. No matter what kind of bug or pest you have, Andrews Termite & Pest Control in Athens Georgia is the right call. Call us to get that bug free zone today! Get Pest Control In Watkinsville Today! If you have questions, or would like more information, please fill out this form. Andrews Termite & Pest Control, Inc. is a family-owned and operated termite and pest control company that has served Walton, Gwinnett and surrounding counties since 1986. We strive to provide quality integrated pest management, mosquito control, and termite control at a competitive price. Serving Loganville, Monroe, Watkinsville, Winder, Athens and their surrounding cities. Monthly Mosquito Control: Free your yard from mosquitoes!! Integrated Pest Management (IPM): We work with you to control your pest problems from multiple angles. Hybrid Pest Control: Mosquito Control and IPM couple together for the most effective pest control available. Our TruCrawl Encapsulation is proven to be effective at controlling moisture issues, while still allowing for effective and thorough termite control. Termite Control to suit your needs...... Ask us about Termidor SC or Advance Termite Baiting today! Noises in your attic? When pests gnaw wires, dangerous things could happen! Let us inspect your attic today for unwanted residents!